If you have been reading my blog for any length of time, you know that I like to work on projects, of all types. I love that we have access to so many resources that can be made into beautiful items to display, use, and/or share with others. Last week, I started on this car seat blanket with the yarn I purchased at my favorite yarn shop up in the foothills. The pattern was free with a purchase, and I thought this yarn would be perfect for this project. The blanket will measure 14 inches wide and 20 inches long when complete. I have about 8 inches still to knit before the blanket is complete. We had our yard sale over the weekend, which means I was able to clear out more boxes from the craft room. I know this room still needs a lot of decluttering, but I am really happy with the progress being made in here! One reason I am happy that progress is being in the craft room...there is actually room in there to work on projects! 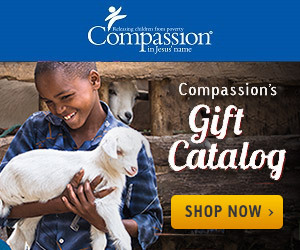 God continues to bless me with opportunities to earn money for my next trip with Compassion! This time, I will be making some curtains for a friend. Her family just purchased a cute little trailer. She is working on adding a glamping factor, and she asked me to make the curtains for her! So this week, I really didn't finish any projects, but I have made good progress on a couple of projects. I would love to know what projects you are tackling this week. Share them with me in the comments below.